Rome Film Festival has announced its first list of selection for this year. It includes two interesting films from India. Rangbhoomi by Kamal Swaroop and The Seventh Walk (Saatvin Sair) by Amit Dutta have been selected in the CinemaXXI section of the fest. I have always believed that Amit Dutta is country’s best experimental filmmaker who has a distinct strong powerful visual style. Though you will hardly get to read about him or his films in mainstream media, it’s heartening to know that he quietly keeps on making films. The CinemaXXI section is dedicated to new trends in world cinema and will feature 16 Feature films, 6 Medium-length films and 13 Short films. 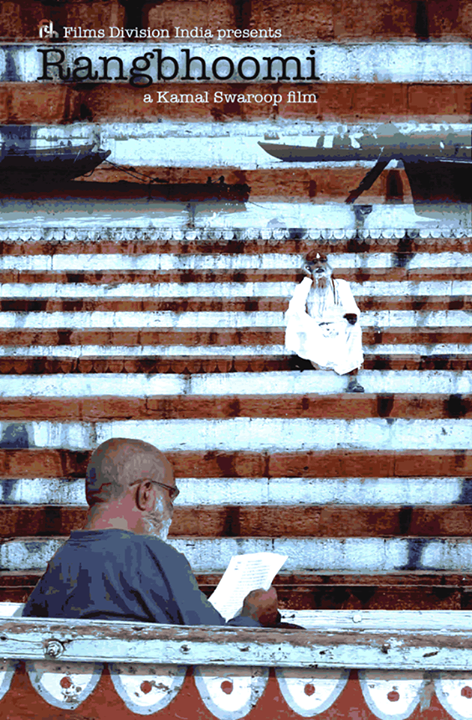 Kamal Swaroop’s Rangbhoomi is in competition in the CinemaXXI section of the festival. The film is based on the autobiographical play written by Dadasaheb Phalke, considered as the father of Indian cinema. Amit Dutta’s The Seventh Walk will be the the closing film of CinemaXXI Section and is not in competitive section. The festival will run from November 8 to 17, 2013. UPDATED (26th Oct, 2013) – Rome Film Festival has added two more Indian films in its list. – OM DAR BA DAR / I AM DOOR BY DOOR by Kamal Swaroop, India, 1988, 101’. Special Screening of the World Premiere of the restored version, on the occasion of the 100 Years of Indian Cinema. Apart from these two films, Indian filmmaker Ashim Ahluwalia will also be at the fest as Jury member on the CineMAXXI.